We are trusted stockists and exporters of sheets and plates that are widely appreciated for quality standards. Our range includes sheets, plates & coils of stainless steel, carbon steel, inconel, monel, hastelloy and titanium. Procured from established vendors the range has gained wide appreciation for rust resistance, and high tensile strength and durability. 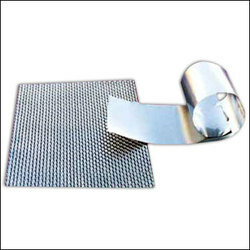 We are reputed stockists and suppliers metal sheets that find wide application in various industries. 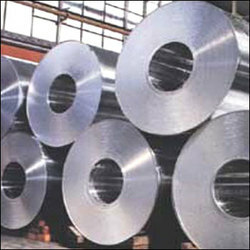 The sheets are available in finest grades of stainless steel, carbon steel, inconel, monel, hastelloy and titanium. Our sheets have gained wide appreciation for enhanced durability and resistance to corrosion. These sheets are available at industry leading prices. We offer our clients quality range of metal coils that find application in structural, mechanical and general engineering purposes. The manufactures fabricate these metal tubing coils utilizing cutting, bending, forming, coiling, and end closure manipulation. Available in varied sizes and finishes, we offer these coils at industry leading prices. Looking for Sheets & Plates ?